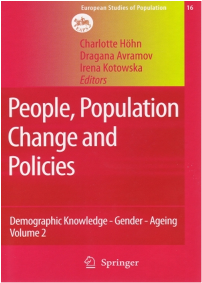 Volume 2 focuses on research findings related to general knowledge of people concerning demographic developments, gender issues, and ageing. In addition, it presents the results of a Delphi-Study on the views of the key policy actors in the area of demographic developments. The volume concludes with policy implications of the findings written by Dragana Avramov and Robert Cliquet, and a reflected overview of all results collected in the two volumes of this work. The book includes a CD-Rom with methodological guidelines written by Dragana Avramov and Robert Cliquet and the international database on about 34000 interviews conducted in Austria, Belgium, Cyprus, the Czech Republic, Estonia, Finland, Germany, Hungary, Italy, Lithuania, the Netherlands, Poland, Romania and Slovenia. This provides a unique opportunity for training and further analysis of national data. This book is the outcome of the DIALOG research project, funded by the European Commission under 5th Framework Programme.